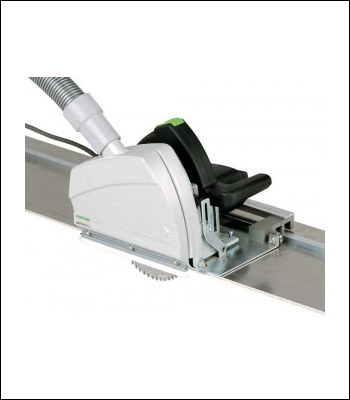 Accurate, dust-protected roller guide on special guide rail. Closed extraction hood with sealing brush for clean, dust-free work. High torque at low speeds for hard materials. Cutting hard and extremely hard building panels. Cutting cement-bonded board to size. Cutting cement-bonded silicate panels.